A small bathroom space shouldn’t mean any compromise on style. Well planned and with well selected sanitaryware, furniture and finishes, a small space can be transported into a luxurious haven with all the functionality and style of any bigger bathroom. The first place to start planning is the layout and selection of key items. The perfect small bathroom design needs clean lines, accessibility and function, but shouldn’t compromise on contemporary, high quality design and equipment that will ensure it creates a relaxing and atmospheric space that lasts for a long time. 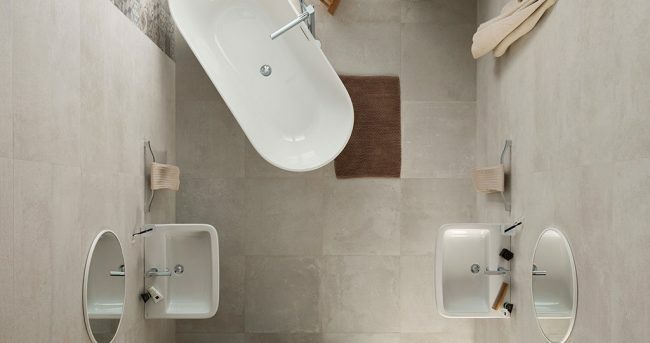 Our Porcelanosa Noken Compact ranges are designed to deliver deluxe Porcelanosa style that has been built with smaller sized spaces in mind – saving space so you don’t have to compromise on that walk-in shower or his and hers basins. 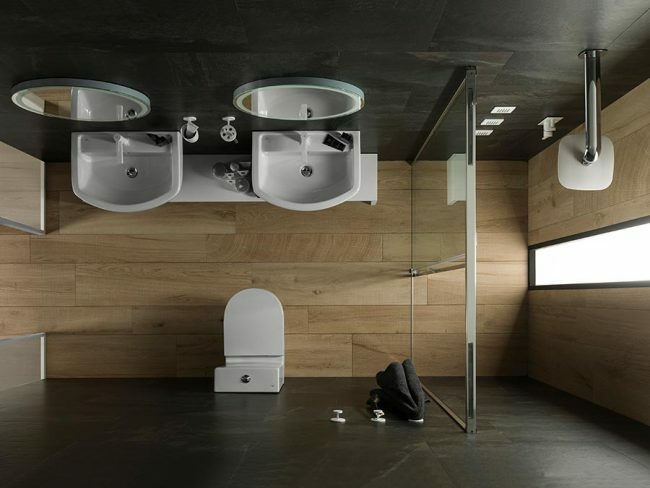 Our Noken collections provide sanitaryware, basins, cabinets and even bathtubs capable of being adapted perfectly to small dimension bathrooms. 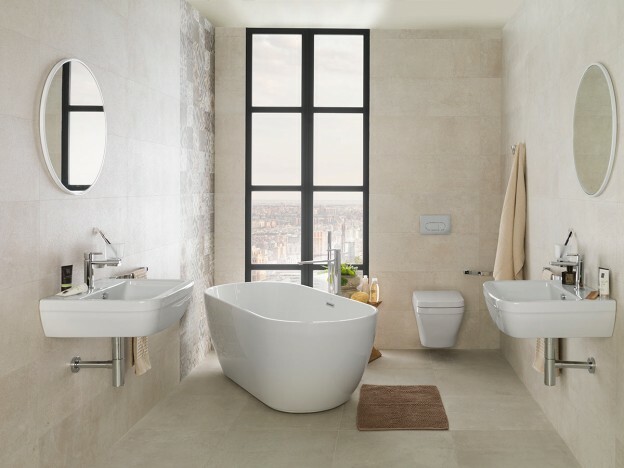 Collections such as Urban-C, Acro Compact or NK Concept are specifically designed for this purpose, providing a bathroom experience with extra practicality and comfort that can be fitted into the most minimum of spaces. Wall hung pans are not only space-saving, but make small bathroom cleaning and maintenance easy. 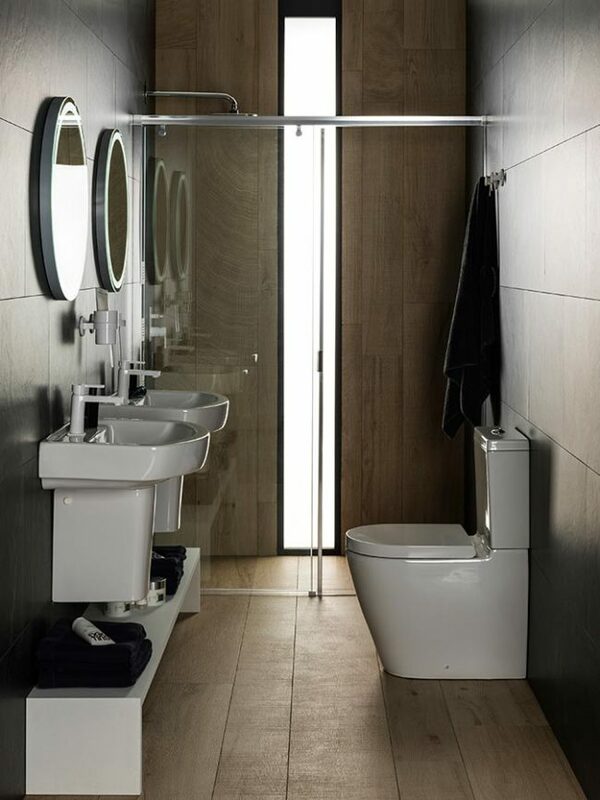 Noken’s wall hung sanitaryware from the NK Concept collection has a hidden cistern, resulting in sanitaryware that is both space saving and delivers a very visually clean design. 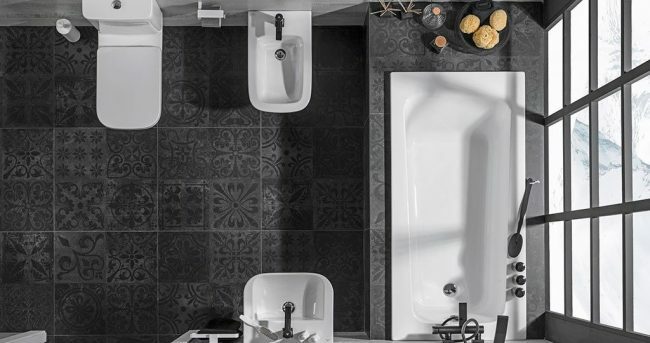 For traditional pans, Noken provides its Urban-C and Acro collections with cistern, featuring reduced projection and depth to offer substantial space saving in the bathroom. With regard to basins, Noken guarantees the use of space through its 45-centimetre Urban-C and 35-centimetre Acro basins, perfect for all kinds of styles and atmospheres. Due to their unique space saving design, they deliver no compromise to fulfilling your daily bathroom functions. With these space saving solutions for the essentials, the opportunity to maximise shower and bath options is increased. Our high quality, design led bathing and shower solutions come in a full range of sizes and configuration so by keeping your essential items compact, we can find the ideal accompaniment to complete the design of your small, yet perfectly formed and beautifully presented bathroom or en-suite. 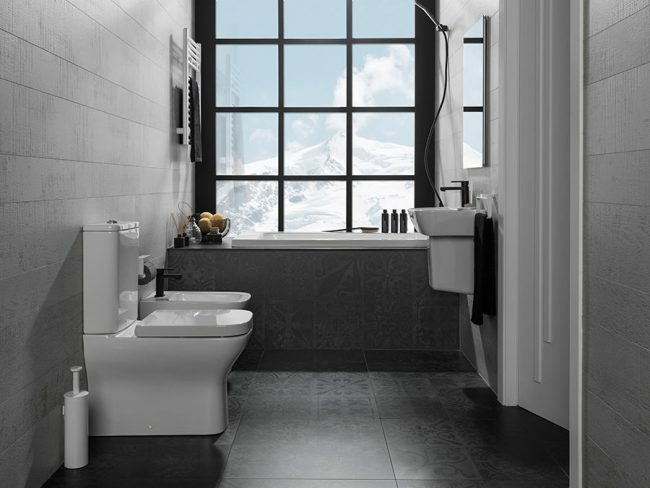 Find out more and discover your ideal small bathroom design solutions in our Surrey showroom.